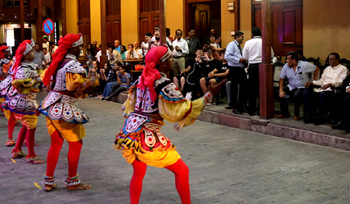 The Fairway Colombo Cultural Show turned out to be yet another whopping success as it attracted many locals and foreigners alike who were entertained by a series of vibrant and colourful cultural dances and traditional performances. The event was graced by Hon. John Amaratunga – Minister of Tourism and Christian Religious Affairs and Hon. Ranjit Madduma Bandara – Minister of Public Administration & Management and Law & Order. The Cultural Show is one of many events covering most of the days in any given month hosted by Fairway Colombo, organized with the intention of enriching people’s experience by adding fun and colour to evening activities while showcasing local art and cultural talent.